Apparently that old packet of seeds I discovered down the back of the dresser were viable after all. 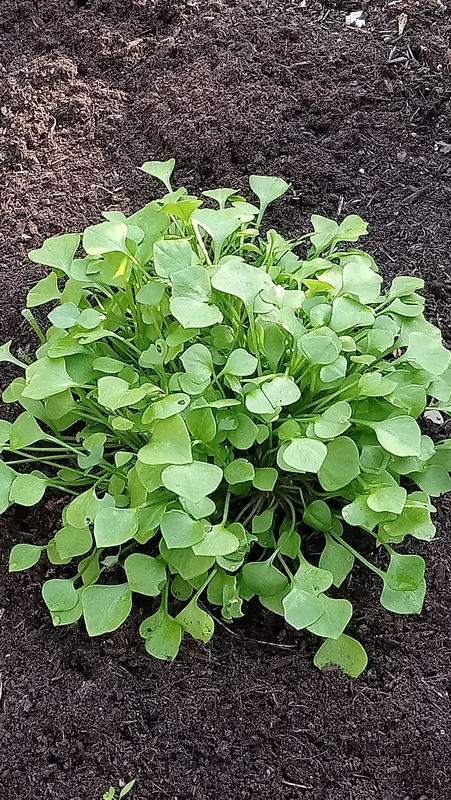 Winter purslane (or miner’s lettuce) will grow happily through even the coldest winter and will keep on going into the spring. Delicious even when it flowers in spring – although don’t let the flower stalk get too long before harvesting. I grew a small bed of this at school once and the gardening club munched on it voraciously at the end of our sessions. Full of vitamin C and a delightful splash of green in the winter garden when not much else is growing.